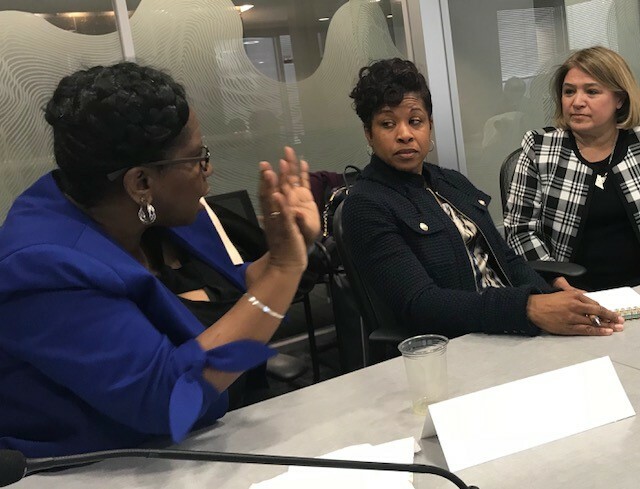 A diverse group of more than 30 leaders came together at two roundtables in March in honor of National Women’s History Month. Convened by Arlington County Board Vice Chair Christian Dorsey, the roundtables included women representing civic associations, the Teen Network Board, County government, advisory groups, local businesses and nonprofit organizations who came together to discuss critical issues facing Arlington women. The roundtables were two of several events organized by County Government in recognition of Women’s History Month. The national theme this year was Nevertheless She Persisted: Honoring Women Who Fight All Forms of Discrimination Against Women. Child care was an issue that affected many of the attendees. 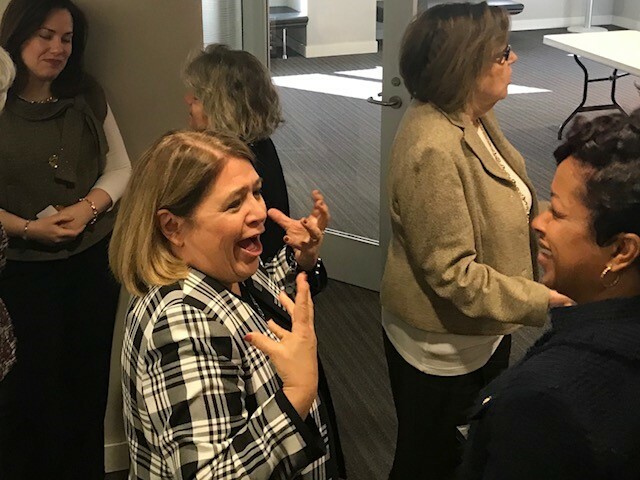 Recognizing that many women in Arlington have nontraditional work hours, the group challenged the County to include this population in their solutions as they implement the Child Care Initiative, a priority of Board Chair Katie Cristol, who also was in attendance. 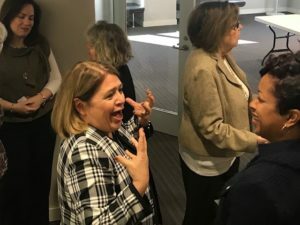 Arlington County and the region have made progress in the last five years on sexual assault prevention and treatment. Project PEACE is a countywide collaboration dedicated to preventing and improving our response to domestic and sexual violence in Arlington, and Inova Fairfax Hospital is the only hospital in Northern Virginia to have a forensic team that serves patients around-the-clock. Participants agreed that despite advances, more awareness and community outreach is needed to ensure all residents are aware of these resources. Several participants noted that while women have advanced over the past several decades, they must do more to have a voice “at the table.” They stressed women being advocates for themselves and projecting confidence in professional settings. 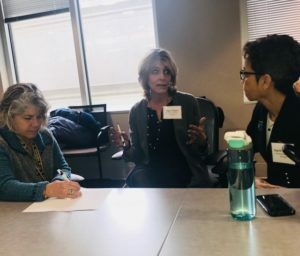 County Board Member Libby Garvey attended one of the sessions and mentioned that she would like to have future discussions on the role that men play in women’s advancement. Mentoring was another theme in the discussions. Individuals noted that numerous informal relationships exist, the group agreed that more formal mentoring initiatives could further aid women and girls of all ages and in different sectors. 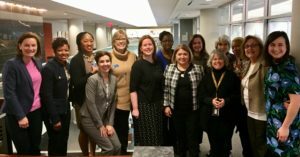 In January, Diane Kresh, Director of Arlington’s Department of Libraries, launched Women Work (WoWork), an informal networking group, which is starting a mentoring program for women of Arlington County Government and the community. As a result of these roundtables, the Commission on the Status of Women will lead future conversations on these and other issues important to Arlington women. 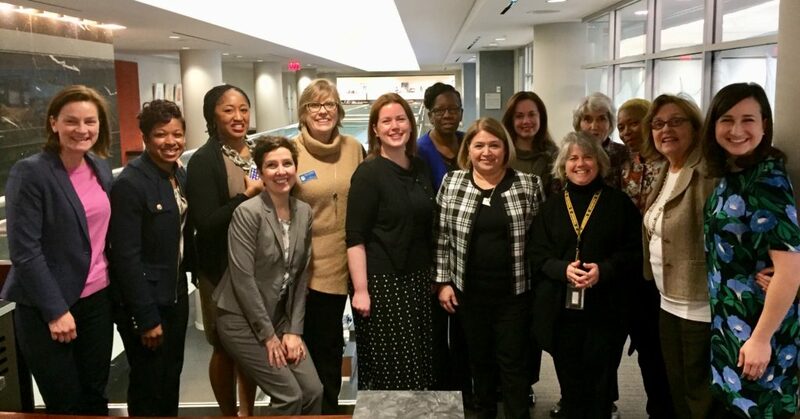 Founded in 1974, Arlington’s Commission on the Status of Women holds educational workshops, public forums and cooperative efforts with the County Board and various women’s organizations. For more information, visit the commission’s webpage. The commission currently is accepting nominations for its Women of Vision Awards. Learn more and submit a nomination by April 20, 2018.